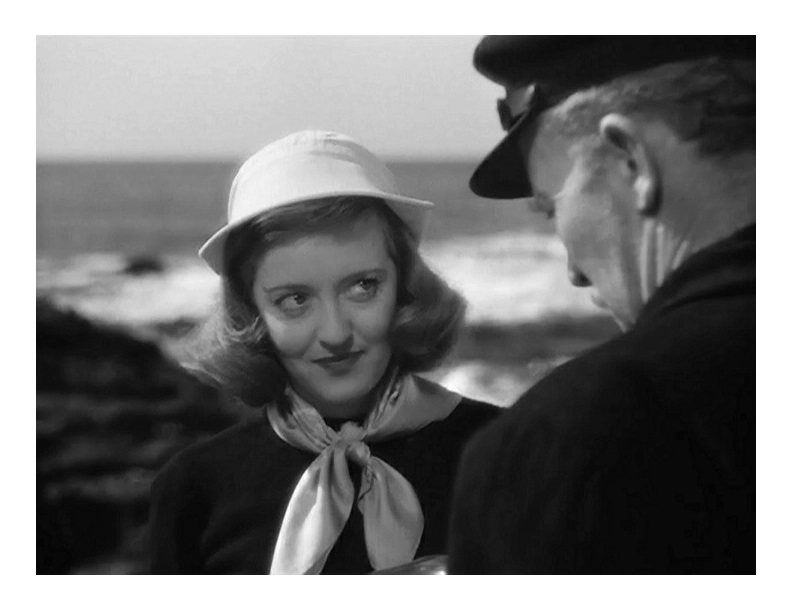 A New England artist, Kate Bosworth (Bette Davis), returns to her hometown and falls in love with a local engineer, Bill Emerson (Glenn Ford, Pocketful of Miracles). To Kate’s amazement, Bill falls in love with Kate’s twin sister instead. An unexpected twist of fate gives Kate another shot at happiness. The auteur theory is almost exclusively discussed in the context of a director’s career. On some occasions, the theory has been applied to producers (e.g. David O. Selznick and Gone with the Wind), but it’s never, never, used while discussing the work of an actor. That’s why A Stolen Life remains a fascinating anomaly; a film that is essentially exploring the psyche of its leading actor. Directed by Curtis Bernhardt (My Reputation and Payment on Demand) from a screenplay by Catherine Turney, A Stolen Life is undoubtedly Davis’s most personal movie. She not only produced it, but also worked closely on the screenplay. 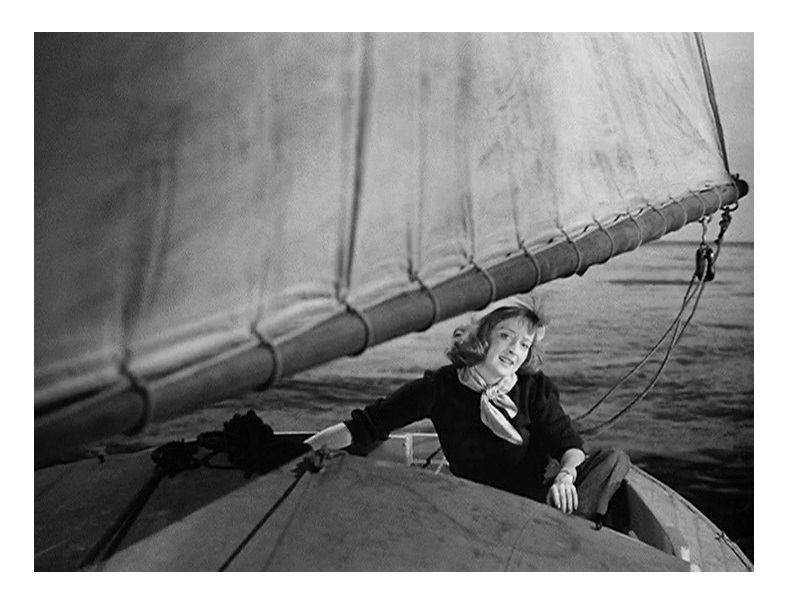 Davis poured her most inner thoughts into the script, thus the film reflects the actress’s personal philosophy that drove her life and career. I’ll argue that the twin sisters are Davis split into two. They represent Davis’s life-long struggle between romantic aspirations and professional ambition. This introspective work not only provides a peek into what made Davis tick, but offers a keen analysis of self-interest versus moral duty. She deals, of course, with issues from the perspective of a woman, but any person, man or woman, who has tried to balance love-life with career is bound to get something out of the movie. A Stolen Life is also one of the best studies of unrequited love that I’ve seen. I’ll put it right up there, right next to Letter from an Unknown Woman (1948), Splendor in the Grass (1961), The Story of Adele H. (1974), and Death In Venice (1971), a handful of well-regarded classics about one-sided love. Davis’s excellent performance(s) hold the film together. The twins are almost identical-looking characters. She differentiates the sisters by using small gestures; it’s all very subtle, very clever. You really believe you are watching two actors (you know exactly which one is which at all times). The then-state-of-the-art special effects help create the illusion. The visual effects team received an Oscar nomination. Glenn Ford got his first big break here and he’s very good. Davis seems, however, to have better chemistry with Dane Clark (Action in the North Atlantic), who plays a starving young artist. And in case you still doubt that this was a very personal project, Davis did marry “a starving young artist” after she completed the film. The cast also includes Charles Ruggles (Bringing Up Baby), Walter Brennan (The Westerner) and Bruce Bennett (The Treasure of the Sierra Madre). 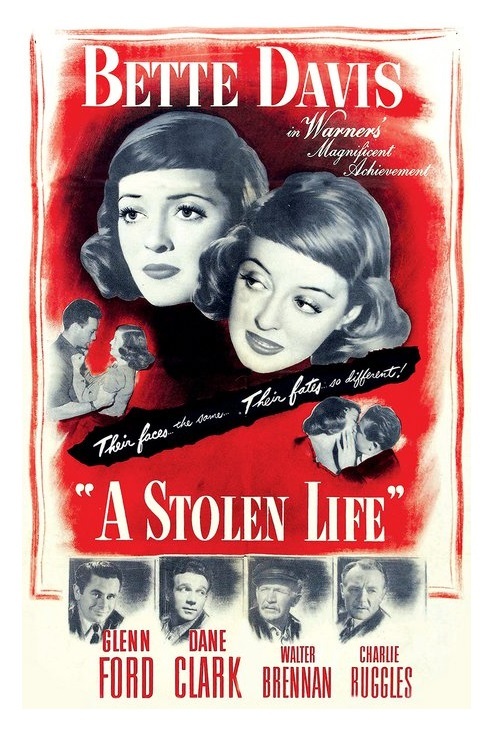 A Stolen Life was beautifully shot in Laguna Beach, California (a stand-in for New England) by Ernie Haller (Jezebel and Dark Victory) and Sol Polito (The Petrified Forest and The Letter). Max Steiner’s (Now, Voyager) music score is great too. A Stolen Life was a remake of the now obscure and hard-to-find 1939 British film Stolen Life, with Elisabeth Bergner and Michael Redgrave. Davis took the story and made it her own. It’s an underrated classic movie, an engaging, compelling dissection of its mercurial star. B&W, 109 minutes, Not Rated. Thank you, Eric, for your short but incisive review. 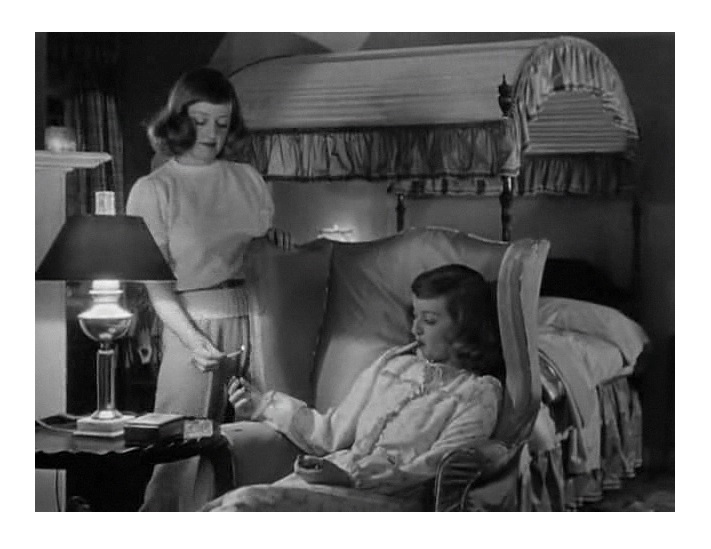 I remember that Bette played twins again much later in her career in the movie Deadringer. Thanks, Rafael! Yes, Dead Ringer (1964) is pretty good too! Nice write up, Eric! I’ve always enjoyed Bette but haven’t seen this one. I like the premise! Thanks and hope you enjoy it when you get to watch it!